In the last year, the Public Safety Personnel Retirement System (PSPRS) changed the manner in which it calculates the cost for service purchases for those wishing to purchase (buyback) time spent in the military or with other public safety entities. These changes were brought about under HB 2019. Many people who recently opted to purchase prior service time discovered the changes the PSPRS had resulted in significantly higher buyback costs, in some cases an increase of 50% or more depending on years of service, salary and age. As a side note; in order to purchase prior military or out of state service, personnel must have a minimum of five years of membership or service credit in PSPRS. The links below will give a more detailed explanation of why the changes occurred and how they will impact you. PSPRS will not have the updated service purchase calculator posted to their website until August 6th. CLICK HERE to read a detailed explanation of the how and why behind the changes. CLICK HERE to read the language contained in HB 2019. 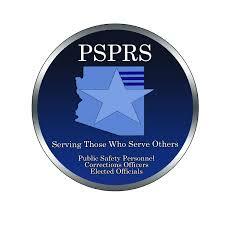 CLICK HERE to go to the public safety page of the PSPRS website.